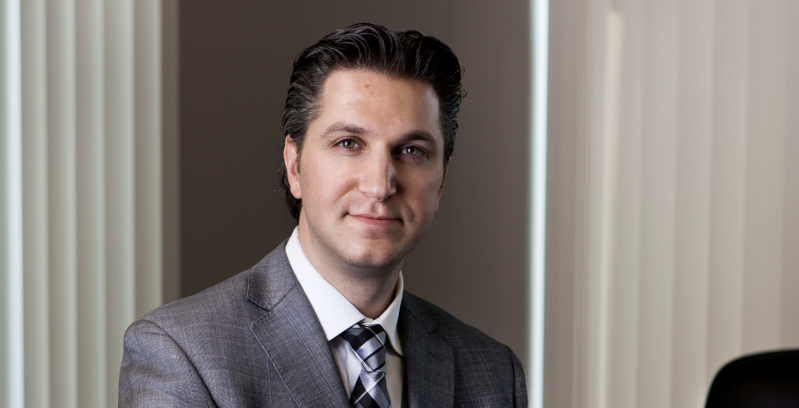 Earlier this year, Amaya Gaming CEO David Baazov headed up the biggest online gaming deal in history – purchasing the Rational Group and its key assets, PokerStars and Full Tilt, for $4.9 billion. At the time, it was reported that Amaya needed an extra $3.6 billion in financing from a combination of GSO Capital Partners, Barclays, Deutsche Bank and Macquarie Capital. But little was known about the great lengths and pains Baazov went through to make this deal happen. Forbes recently uncovered how the 34-year-old was able to convince big-time Wall Street players to believe in him against all odds. They also told the story of a man who spent weeks living on the streets after being kicked out of his home, only to later rise up and become the biggest figure in iGaming. When David Baazov first approached the Blackstone Group (GSO) in Manhattan about a plan to buy PokerStars, he was essentially laughed at and told to leave. The Amaya CEO wanted Blackstone and other investors to buy shares of his company (worth $7 at the time) for $18 a piece. Despite the long odds, Baazov was eventually able to sell Blackstone and others on this price to increase the value of his company and make buying Rational a more-realistic proposition. This was only part of the equation, though, because he also had to convince Rational to sell. Once again, Baazov ran into an iron wall when the Scheinbergs weren’t interested in selling, nor did they see how he could come up with the money. He continued to “phone-stalk” the Scheinbergs until they finally told him they’d be interested if he came up with a $3 billion commitment letter from a financial institution. With Baazov producing this letter (courtesy of GSO) combined with PokerStars’ inability to get into New Jersey, the Scheinbergs were finally convinced to sell for $4.9 billion. After completing the PokerStars transaction, Baazov earned an $800 million share of the new-look Amaya Gaming. And this is quite amazing for a guy who spent part of his life homeless, living in Montreal parks and sleeping on benches. Born to a construction worker in Israel, Baazov’s Georgian parents moved to Canada when he was just 1. By the time he was 16, Baazov was a math whiz who saw little value in school, eventually telling his tight-knot Modern Orthodox Jewish family that he quit. They responded by kicking him out of the house, which led to Baazov sleeping on park benches of public hockey arenas for a few weeks. There were times when he even had to hang out in the penalty box area to avoid the cold winter winds. Baazov would eventually make up with his parents and rent an apartment, from which he sold discount coupons for shopping malls and dry cleaning. He also started a computer-reselling company that had “about two” customers in its first five months of existence. But then the teenager caught a break when he landed a contract to sell computers to Montreal’s city library. Years later, his company was doing $20 million worth of business when he decided to get out of the hardware business and form Amaya Gaming. Their first product was an electronic poker table that was sold to casinos and cruise ships. After taking Amaya public, with shares selling for just $1 in 2010, Baazov convinced former NATO commander and presidential candidate General Wesley Clark to invest in his company. From here, he continued expanding Amaya by purchasing the Ongame poker network and Cadillac Jack (slots-maker). Again, some of these consumers are angry poker players who worry that the fish will migrate towards other forms of gaming. But given that only 5 million of the 89 million consumers are active on Stars, maybe Amaya will help re-activate some of these fish again. Considering Baazov’s previous successes, no matter the odds, it wouldn’t be a stretch to think that he can draw more recreational players out of the woodwork and make PokerStars an even bigger success.